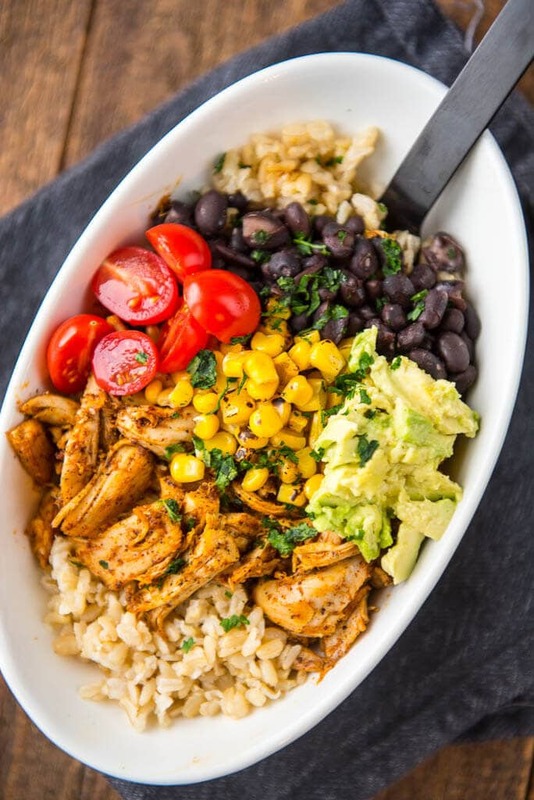 Make this Meal Prep Whole Chicken and be a Meal Prep Rock Star! 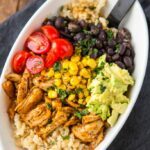 Create Easy and Delicious Chicken Burrito Bowls! If you’re looking for the ultimate way to simplify your life then I’ve got an idea I think you’re going to love. Is there anything better than having a delicious meal without a ton of work and mess? Especially when it’s healthy and homemade and can be customized with all your favorite veggies and toppings? 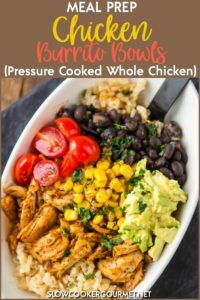 Using your slow cooker or your pressure cooker is a brilliant way to get dinners or lunches on the table all week and is actually easier than going through a drive thru. 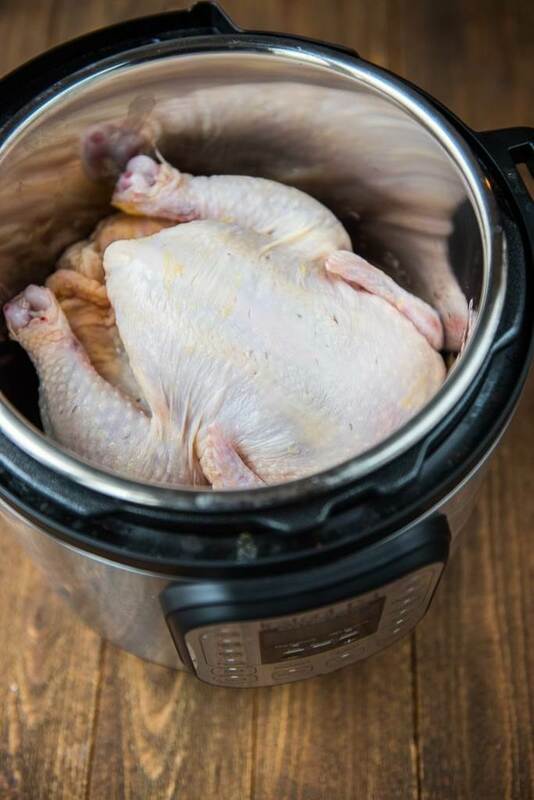 A while back I did a comparison of slow cooking vs. smoking/grilling a whole chicken and now I figured it was time to try out the Instant Pot. Just like there wasn’t a clear winner in that competition, there’s again no clear winner here. It really all comes down to your cooking style, the time you have and what you are using the chicken for. In this instance, since I just plan on shredding it, I wouldn’t bother with the grill. 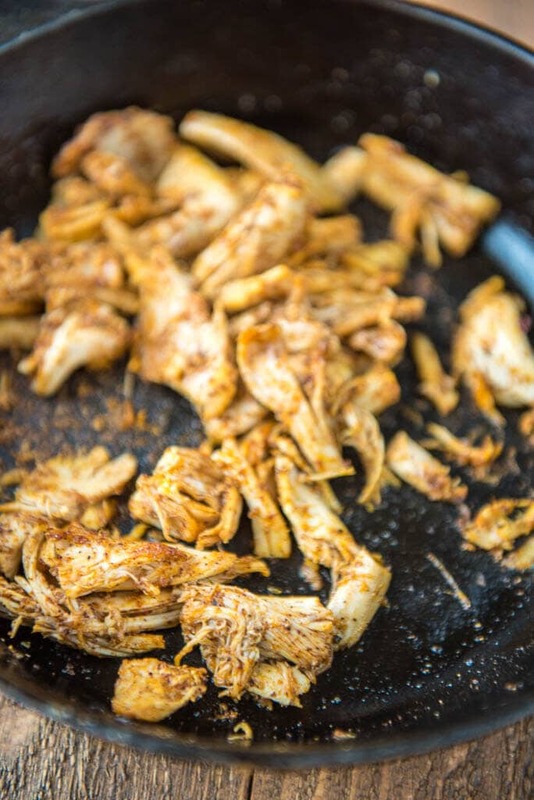 No need for crispy skin and slow cooked and pressure cooked chicken tends to stay juicier. The hard part is being patient once it’s done. I always just want to dig in and start pulling the chicken apart and usually end up burning my fingers. 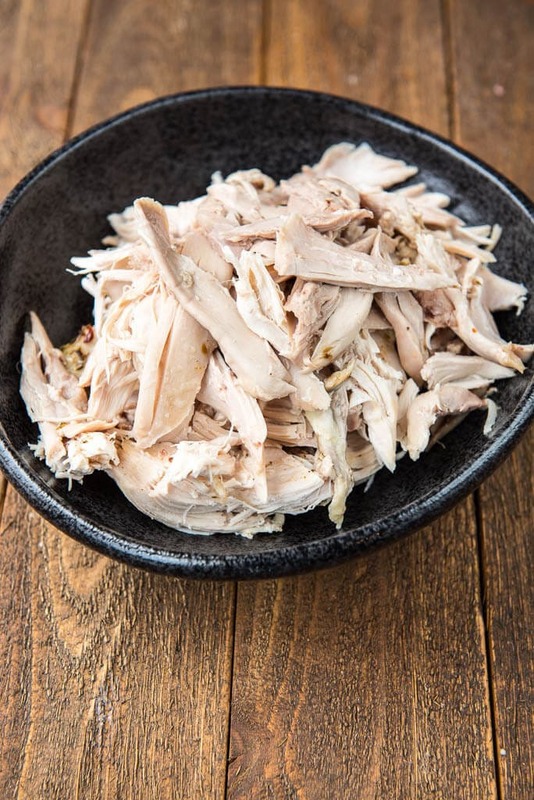 You can put the cooled down pulled chicken into a large baggie and store in the fridge for a couple of days or you could freeze it for a few months and have on hand to make delicious meals. 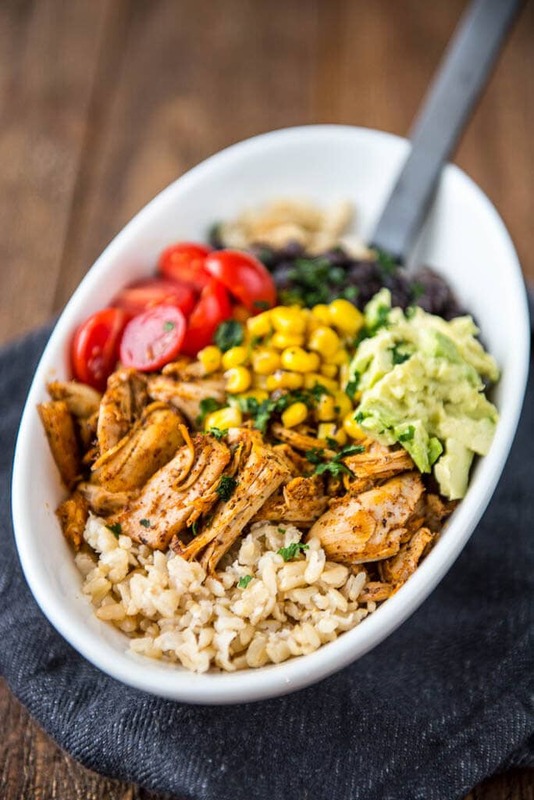 We love making burrito bowls by cooking up some brown rice and chopping some veggies! Perfect for a quick dinner or for taking along for lunch! What size Insta-pot would be best for a two-person household? My husband thinks anything fixed in a crock pot is fabulous, but I have been considering getting one of the new-generation pressure cookers. I think a 3 quart mini Instant Pot might be perfect for you. What size is your Instant Pot? I am thinking of getting one and like the idea of cooking a whole chicken in there. I usually get a 4-5 lb chicken so not sure what size to consider. Thanks for the inspirations and ideas. PS. I grew up in Overland Park, KS, near Shawnee Mission, and still have family there. Small world. Yay for another KC person!! I have a 6 quart and I feel it’s just right for meal prep.